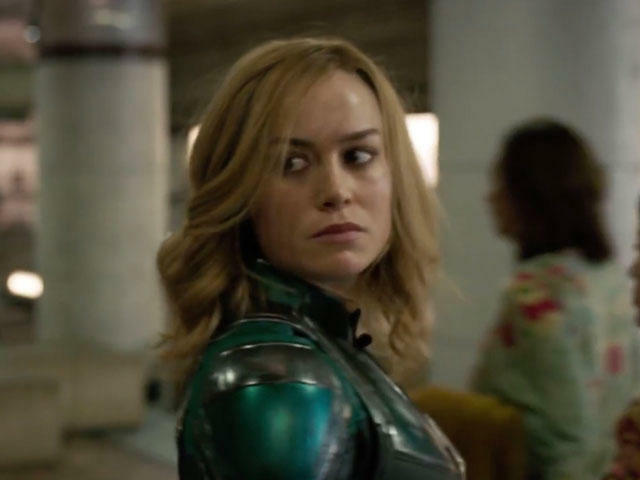 The first trailer for Captain Marvel dropped today, giving us our first real look at the upcoming MCU movie. In the process, it begins the hype train for the newest Marvel superhero. But more is always better and Marvel also gave us the first official poster for the movie. It’s a standard movie poster with the titular character standing front and center looking heroic, but there are a few details worth pointing out, including a super cute easter egg that could play a big role in the movie. 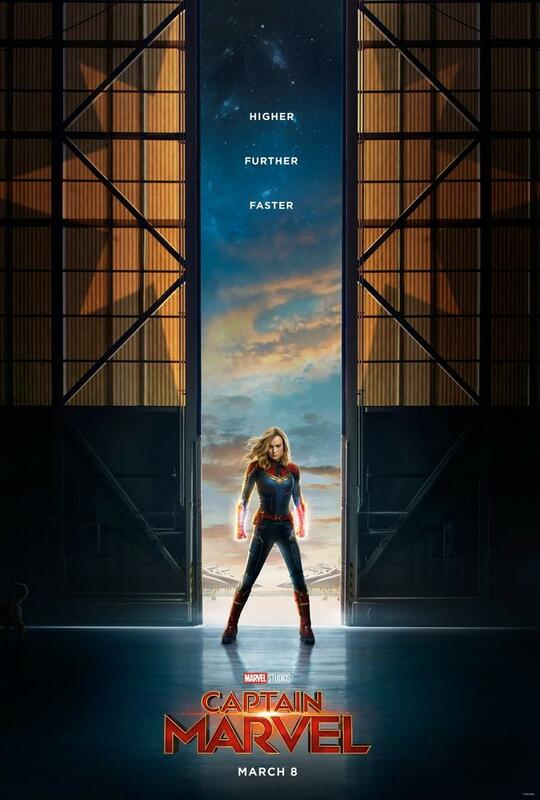 Captain Marvel, also known as Carol Danvers, stands inside of an airplane hanger in her classic red and blue suit with the quote “Higher, Further, Faster” hanging above her. It doesn’t really give us much insight into her character, but if you look closely, you’ll notice that there is a feline friend making its way out of the frame on the left side. It’s kind of hard to see (we included a zoom-in view in the gallery down below), but a cat is definitely there and it’s none other than Chewie. If you’re unfamiliar with Captain Marvel comic books, Carol Danvers has a pet cat that travels with her through the galaxy. It was first introduced in Giant-Size Ms. Marvel #1 and earned the nickname Chewbacca, or Chewie for short, in Ms. Marvel Vol. 2 #5. However, Chewie is no ordinary cat. Though it looks like a cat and acts like a cat, it’s actually an alien creature known as a flerken that has some powerful tricks up its furry sleeves such as traveling through dimensions. That’s a pretty neat trick to have. 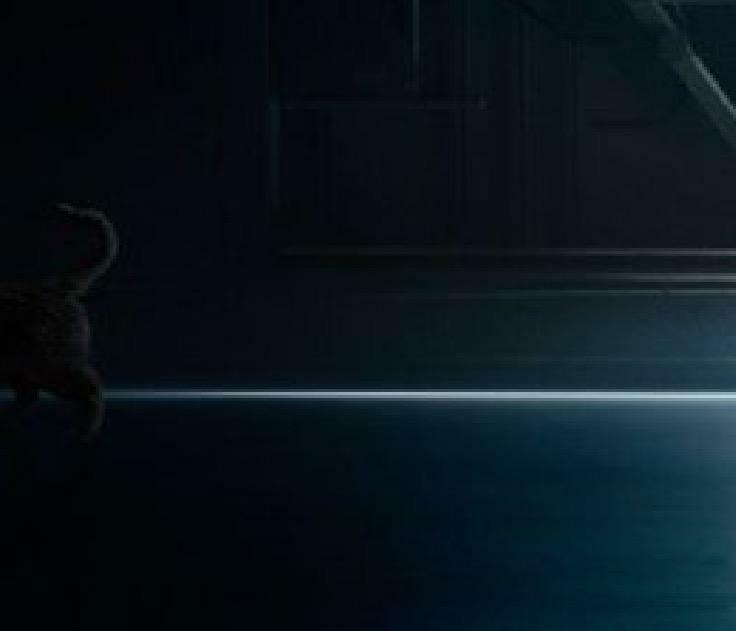 We’re not sure how much of a role Chewie will play in the movie—he doesn’t even show up in the trailer—but we’re excited to see him on the big screen when Captain Marvel opens on March 8, 2019.